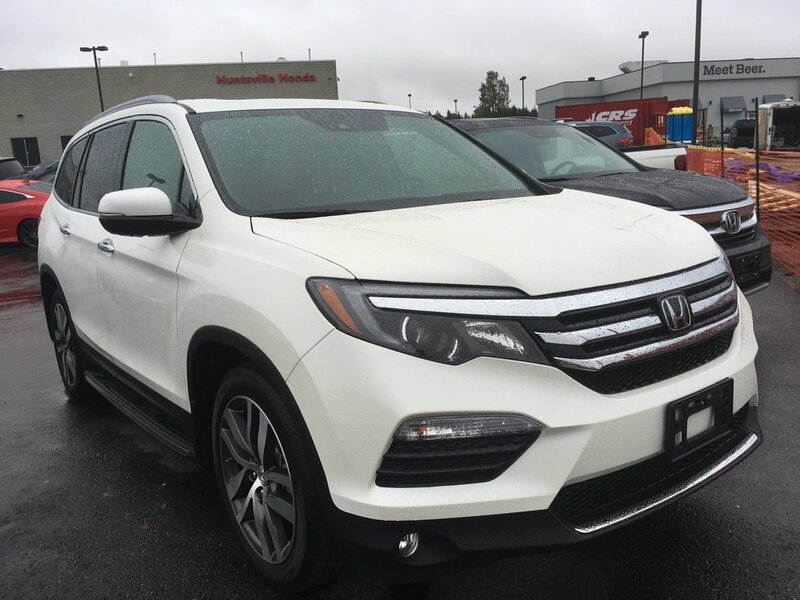 Every road leads to adventure in our 2019 Honda Pilot Touring AWD that's outstanding in White Diamond Pearl! Powered by a 3.5 Litre V6 that offers 280hp while tethered to a reliable 9 Speed Automatic transmission for easy passing maneuvers. This All Wheel Drive sets you up for any adventure with plenty of power and agile handling while also attaining near 8.7 L/100km on the open road. Our Touring is sleek and sporty with its distinct grille, LED daytime running lights, fog lights, a power tailgate, and gorgeous alloy wheels. Our Touring cabin has premium features and plenty of room for 7 and all their gear so that everyone can join in on your adventures. Remote engine start, blue ambient lighting, a 60/40 split folding third-row seat, tri-zone automatic climate control, a sunroof, leather-trimmed seating, and power-adjustable heated front seats help to set the stage for happy travels. You're never far from the information you need thanks to our prominent central display, satellite-linked navigation with voice recognition, Bluetooth, HondaLink, Apple CarPlay/Android Auto, SMS text message function, and a premium audio system with available satellite radio and Pandora compatibility. The kids in the back even have a Blu-ray DVD entertainment system.